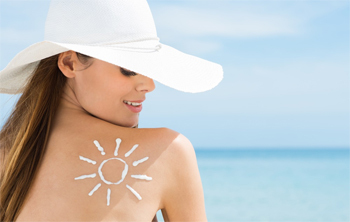 Is your skin causing your problems and do you wish to obtain a more vibrant and radiant skin? Uncover how you can obtain healthier skin in 6 easy steps and finally have the skin that gives you more confidence and more self-esteem. Even though acne is commonly associated with the teen years, adults can suffer from acne as well. Women are especially prone to the problem, because an increase in progesterone levels before your period can actually cause acne. Unfortunately for adult women, acne developing in adult years can be of a more inflammatory nature. When you are struggling with some skin problems relating to acne, or have suffered permanent scars because of acne, you can get non-surgical skin treatments from cosmetic surgeon. In addition to that, you can also obtain dedicated creams to stop outbursts before they become a real problem. Women can encounter hormone fluctuations in various stages of their life. A good example of a time where hormone fluctuations could have an influence on the skin is pregnancy, because estrogen is quite abundant during this time. While estrogen can make the skin temporary clearer, it can also cause discolorations of the skin. In most cases, discolorations can disappear after pregnancy, but with a small number of women, discolorations can remain. Skin discolorations can be treated with a non-surgical cosmetic treatment, but can also fade with a prescribed cream with lightening agents. To acquire this cream, you usually have to consult a cosmetic surgeon or licensed dermatologist. The majority of damage caused to the skin will not show until you are middle aged, which means that skin damage can take decades to actually come to the forefront. If you have sunbathed excessively during your teen years, you skin may have been damaged to develop into a more serious problem. Dr Lanzer- a leading Dermatologist advises -To keep your skin in good condition, it is essential to examine your skin thoroughly from time to time.' If you notice unusual moles or a patch of discoloration, it is advised to consult a health professional right away to rule out any serious underlying problems. If you are given the all clear, you can also consult your health professional for possible treatment options. 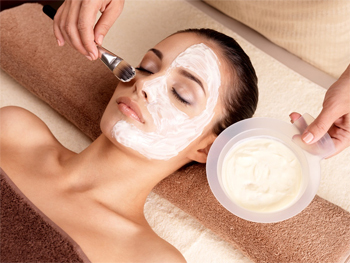 A common mistake made by many women is that they acquire skin products that are not appropriate for their age. Some teens already start with anti-wrinkle creams, while older women use a basic moisturiser. Even though these creams may have a temporary positive effect, the right skincare products will keep your skin in better condition for a longer period of time. For women who have reached the age of forty, health professionals recommend skincare products containing botanicals, since these compounds have antioxidant properties that can fight free radicals damaging the skin. Experts also recommend prescription creams, which could tackle common signs of ageing such as uneven skin tone, wrinkles and age spots. Rosacea is a common skin problem for women that are middle aged. The skin condition is caused by environmental factors such as sun exposure, but also by stress, alcohol and spicy foods. Redness of the skin can make a woman more self-conscious, but there are a lot of things that a woman can do besides treatment to cover up the problem. Green-tinted makeup can be used to camouflage redness in the face and there are numerous over-the-counter serums containing caffeine that could reduce the redness temporarily. Naturally, for a more permanent solution, a consultation with a dermatologist may be the best option. No matter what age you are and the skin problems you are dealing with, keeping yourself hydrated is the number one rule for skin health. Women in their 50s are especially prone to develop thinner and dryer skin, mainly due to a decrease in estrogen levels. Fortunately for them, staying hydrated can provide a solution. The best way to hydrate your body is still drinking plenty of water, because water is responsible for the transport of nutrients to various parts of your body, including the skin. Even if you have impeccable nutrition, good nutrition will not do your skin much good if it does not have the water to transport the nutrients in the first place. Keeping your skin beautiful and radiant does not require a tremendous amount of effort, just a few checks on a regular basis, using the right skincare products and ensuring you have the right nutrition in place. 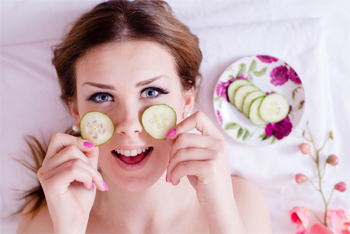 By doing all these little things, you will be able to enjoy a healthy and radiant skin throughout the years.